1) How long does a rental tenancy last? Most rental tenancies are for 6 or 12 months. Where the Landlord has instructed or accepted a break-clause this provides a right for either the Landlord and/or the Tenant to terminate the agreement with 2 months’ notice. This notice has to be served in writing by the party giving notice. The easiest way to interpret a break clause is to view it as a minimum stay. E.g. A 12 month tenancy with an 8 month break clause allows either party to terminate the tenancy with 2 months’ notice which can be served at any point after the expiry of the 6th month. 2) What type of rental agreement is used? 3) How do I pay rent? Rent is paid in one single monthly payment from your bank account by standing order from your bank and is normally set up to leave your account 3 days prior to your rent due date (this is typically the date on which you moved in, although not always). Be sure to tell us if your circumstances change, for instance you change banks or your employment situation changes as we can give you advice. 4) Who pays for check in and check out inspections? The Landlord pays for the Inventory and the check-in; you only pay (in advance) for the check-out report carried out at the end of the tenancy. The cost varies depending on the size of the flat. To ensure proper compliance with the tenancy deposit scheme it is important that the inventory, check-in and check-out are carried out properly to provide documented proof of condition at each point. 5) Who pays for utilities – are these included in the rent? 6) How do I find out the electricity or gas supplier for a property? 7) Who do I deal with - the landlord or the letting agent? The letting agent will handle viewings, references, preparing agreements and getting you moved into your property. 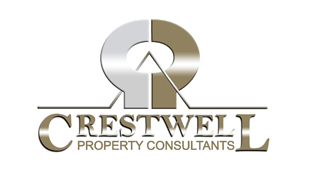 From that point if the property is managed you will report any repairs or queries you may have to Creswell’s dedicated property manager or directly to the landlord if the property is not managed. 8) Who should arrange and pay for repairs at the property? The landlord is generally liable for repairs or maintenance to the property and this will either be arranged through your property manager or directly with the landlord if the property is not managed by us. However, tenants are responsible for breakages and damage that is not deemed fair wear and tear. If these are not repaired this would normally be deducted from the deposit unless otherwise agreed. A tenant should report repairs and breakages as soon as they occur. 9) If I want to leave the property can I give notice at any time during the tenancy? You are only allowed to vacate the property with 2 months’ notice and in accordance with any break clause (minimum stay) you have agreed prior to signing the contract and moving in. If you do need to leave the property before this break clause you will remain liable for the rent until either replacement tenants are found or the break clause comes into effect (provided you have given the required 2 months’ notice). In situations where there is no break clause and no replacement tenants can be found you will remain liable for the rent until the end of the tenancy. 10) What do I do if I lose my job or need to move out before the end of the tenancy? If you urgently need to move out of a property due to a change of circumstances, it would be best to contact us to find out if the landlord would be happy for you to be replaced on the tenancy. The new tenant will need to pay the administration fee incurred for the referencing and drawing up a variation to the original tenancy agreement subject to the landlord’s agreement. The outgoing tenant will still be liable under the tenancy agreement until the replacement has actually signed the tenancy agreement and paid their share of the move in monies. 11) Can I rent a room to a flatmate or flatshare? All occupiers of a property must be declared on the tenancy agreement. If not this would be breaking the terms of the tenancy agreement. Where several people are sharing a property the tenants are ‘jointly and severally’ liable, and as such as listed on the AST. This expression means that each tenant is liable to for any breach of agreement even if said breach is by a co-tenant. 12) What are the different Tenancy Deposit Schemes? There are three authorised providers, two custodial scheme’s one administered by ‘The Deposit Protection Scheme’, the other by ‘The Dispute Service’, and an insurance based scheme operated by ‘My Deposits’. Details of which scheme your landlord has chosen to use will be on your contract. 13) What happens if the landlord won’t return my deposit? Landlords are required by legislation to pay a tenant’s deposit into a separate custodial or insurance based Deposit Scheme. Depending on which scheme your landlord chooses to use there is some variation in the process but they all act to protect a tenant’s deposit. If renting a property managed by Crestwell your deposit will be returned to you within 5 working days of providing proof of final bill payment assuming there are no outstanding issues with the condition of the property at check-out. In situations where part of the deposit is in dispute that part of the deposit will be held by the Deposit Protection Service pending adjudication and the undisputed part of the deposit will be returned to the tenants once proof of final bill payment has been provided.